Both Max and Sabrina are too big for a YBike, so I had a neighborhood four-year-old try the one the company sent (the bike is intended for kids ages 2 to 4, but can be used by non-huge kids older than that). "I like that it can pretty much stand and its own and that the back tires are so wide—it's good for younger kids or any kids who don't feel sure about their balance," her mom reports. "It gives them a little comfort and more control over that balance thingie. Technical, aren't I? She loved riding it in the house and outdoors." I wish Max were small enough to fit on one! Heck, I wish I was! I asked his physical therapist at school what she thought of the YBike, and she and other pt's there thought it would be great to try with younger students to promote balance and trunk control. She said kids would feel secure with their feet on the ground. She pointed out an added bonus for boys: It looks like a motorcycle. Not sure the Hell's Angels peeps would agree. I have one YBike Balance Bike in this lovely shade of orange to give away, worth $80. Any fool can put it together in about five minutes, and you guys are no fools. To enter, answer the question "What is YBike's School Program?" Big hint: you can find the answer at YBike USA. Update: The winner is pixiemama. Congrats!!! This giveaway is for U.S. residents only and is open till Thursday, December 16 at 11:59 p.m. I'll randomly pick a winner on random.org, announce it here and alert you by email. Okay so I read about the program. They provide the bikes and a lesson plans. The kid are tested on balance etc prior to the start of the program and again afterward. Looks like their skills improve 50-100% after only a few weeks! What a great idea and how generous of them! Me too. They give lesson plans and ybikes to age-appropriate schools to show an improved balance and skills after integrating the ybikes into their program. The school program is a very cool program offered to pre-schools, day cares and such. It includes a lesson plan about how to use a YBike in the school setting. And boy could we use a YBike here. Win a YBike from LoveThatMax! So cool! http://bit.ly/dSDZjs If I don't win, I hope YOU do! It is a really, very cool program. What a great way for hands-on learning to be incorporated into fun stuff that will keep the kiddos interested. I'm sure my little man would be pretending the Ybikes were some Star Wars droid army or something!! Yoda bikes maybe? Cool! I've just been thinking one of these would be great for my very cautious and somewhat clumsy 3 year old son to gain some confidence and balance. The schools program is FREE (cool!) and helps preschools incorporate the bike into their programs. Sounds great! Wow, their schools program is FREE and offered to both Montessori schools and other programs. I'd love to win this for the preschool at my school! YBike is a great program! It is free for preschools and daycare programs and they provide lessons for the staff. Kids are tested at the beginning of the program and at the end and show at least a 50% improvement in balance and coordination. Passing this along to my PT friends and also liked "Love That Max" and "YBikes" on facebook. Thanks for the great info! It is a free program for preschools. I sent the form to my daughter's school. Nice giveaway! YBike offers a very cool balance and moter skill development program FREE to preschools using YBikes and lesson plans. Pretty neat! I'm going to tell Shelby's school about it. I know she could benefit from a YBike! The school program provides the lesson plans and I assume the balance test to the schools to use with the bikes. Upon completion each child receives a certificate. I wish they had that program and my kids day care. It sounds like it would be a lot of fun. FYI they also make a YBike Extreme which is designed for 3-5 year olds. I really like the YBikes, so if you have a child this age, you should certainly enter to win one. I read about their program--it gives daycares and nurseries ybikes and lesson plans on how to use them with the children. Thanks for the chance to win a wonderful toy! Awesome giveaway! I have 4 & 2 year old boys at home who would LOVE this. What a neat program too for the bikes and lesson plans in preschools. I want our preschool to do it. I like ybike on FB. I liked yBike on FB. They teach daycares and schools how to use their program and products. Cool. Thanks for the chance to win! I would love to have this for the little boy we're adopting. The YBike Skills program is a FREE program that we offer to pre-schools, day care centers, Montessori's and other accredited child care centers. A complete lesson plan is provided on how to use and incorporate the YBike in a preschool setting. Children are tested on basic balance and motor skill development prior to using the YBIKE. Teachers then follow a fun but structured, safe, educational YBIKE lesson plan for 2 to 4 weeks. At the end of this period children are tested once again on these basic balance and motor skills development. On average each child improves anywhere from 50 to 100% at these basic skills. What makes the program so successful is the children have FUN while learning and improving these critical basic child development skills. The program was developed based on a study undertaken in the University of Stellenbosch, South Africa. The program has been running successfully in a number of countries including, the United States, Ireland and South Africa. Each child who participates in the program receives a certificate upon completion, showing how they have improved their balance. It is great fun and all the kids, parents and school administrators love it! Read about the program on the YBike site. The school program is a FREE program that they offer to pre-schools, day care centers, Montessori's and other accredited child care centers. A complete lesson plan is provided on how to use and incorporate the YBike in a preschool setting. Children are tested on basic balance and motor skill development prior to using the YBIKE. Teachers then follow a fun but structured, safe, educational YBIKE lesson plan for 2 to 4 weeks. At the end of this period children are tested once again on these basic balance and motor skills development. I also liked lovethatmax on facebook and liked YBike on facebook! It is FREE program that we offer to pre-schools, day care centers, Montessori's and other accredited child care centers. A complete lesson plan is provided on how to use and incorporate the YBike in a preschool setting. Children are tested on basic balance and motor skill development prior to using the YBIKE...and it goes on and on...Really neat looking bike though...My youngest would LOVE it! Hope I win it for my youngest! I will tweet about it. So cool they give their bikes and lesson plans to little kid schools. I can just see my two youngest fighting over this bike! The school program provides free lesson plans to preschools and daycares on how to use and incorporate the ybikes in a prek setting. I was impressed at the improvements seen in motor skills. Makes me want to get off the fence and just get one already. The YBike Skills program is a FREE program that we offer to pre-schools, day care centers, Montessori's and other accredited child care centers. A complete lesson plan is provided on how to use and incorporate the YBike in a preschool setting. Children are tested on basic balance and motor skill development prior to using the YBIKE. Teachers then follow a fun but structured, safe, educational YBIKE lesson plan for 2 to 4 weeks. At the end of this period children are tested once again on these basic balance and motor skills development. What a great company and what a wonderful thing for the centers! The program is really awesome!It is a FREE program that they offer to pre-schools, day care centers, Montessori's and other accredited child care centers. A complete lesson plan is provided on how to use and incorporate the YBike in a preschool setting. Children are tested on basic balance and motor skill development prior to using the YBIKE. Super thing to do for others! I have no need for one of these, but you'd think the company would make 'em in larger sizes. Not every kid is bike ready at age 5, 6, 7, 8, even nine or ten! Awesome program, my daughters' school needs to join. I only love you on Google, and maybe on Twitter but I never look at Twitter because where would the time for Twitter come from?? The YBike Schools Program: "A complete lesson plan is provided on how to use and incorporate the YBike in a preschool setting." Since Bertrand can't really use the bike, I'd donate it to the Pingree Center for Autism. The kids in their clinic and preschool programs would get a kick out of something like this! The schools program offers free lesson plans on how to incorporate yBikes into a preschool setting! Their school program is free and is offered to pre-schools and day care centers. They provide a complete lesson plan and the children are tested on their balance sills before the program and then a few weeks later after using the bikes. Their site said each child improved from 50 go 100%. That's pretty cool. I know from my own experience, I learned to roller skate before I was 5 and I've always had good balance. I think anything that gets kids up and moving around is great. It is a free program, a complete lesson plan is provided on how to use andincorporate the Ybike in a preschool setting. The YBike Schools program is a FREE program that they offer to pre-schools, day care centers, Montessori's and other accredited child care centers. A complete lesson plan is provided on how to use and incorporate the YBike in a preschool setting. They provide bikes and lesson plans to schools! This bike would be absolutely PERFECT for my son's birthday. They give lesson plans and ybikes to age-appropriate schools to show an improved balance and skills after integrating the ybikes into their program. They give bikes and lesson plans to schools. The kids show improvement after a couple weeks of having them. what a wonderful program, I know a little one who would benefit greatly from this ybike!! The YBike Skills program is a FREE program that we offer to pre-schools, day care centers, Montessori's and other accredited child care centers. A complete lesson plan is provided on how to use and incorporate the YBike in a preschool setting. 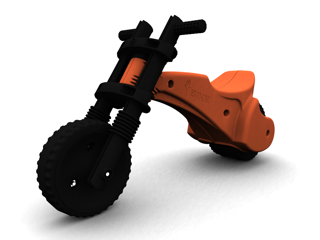 Children are tested on basic balance and motor skill development prior to using the YBIKE. they give lesson plans and bikes to age apppropates schools ty. It's a program that comes with a lesson plan on how to use and incorporate the YBike in a preschool setting. It's free and really fun for the kids. The YBike Skills program is a FREE program that we offer to pre-schools, day care centers, Montessori's and other accredited child care centers. A complete lesson plan is provided on how to use and incorporate the YBike in a preschool setting. Children are tested on basic balance and motor skill development prior to using the YBIKE. Teachers then follow a fun but structured, safe, educational YBIKE lesson plan for 2 to 4 weeks. A complete lesson plan is provided on how to use and incorporate the YBike in a preschool setting. Children are tested on basic balance and motor skill development prior to using the YBIKE. Teachers then follow a fun but structured, safe, educational YBIKE lesson plan for 2 to 4 weeks. At the end of this period children are tested once again on these basic balance and motor skills development. They provide help for incorporating the ybike into school programming. I like YBike on Facebook. It's a free program for pre-schools.